I’m happy to share my first real project for Maker Year: The Steven Seagal Movie Title Generator. If you’re familiar with Steven Seagal or his films, I’m sure it will make you laugh. But I was quickly confused. Why does this gentleman always have a 10,000 foot stare? Why does he sparkle in the sunlight? Why is this girl’s lip not scarred and scabby from two decades of pensive biting? That’s when I turned to Force of Execution. A film with a Tarantino-esque title sequence followed by a 99 minute plot hole. On learning the title of the film, I realized it means absolutely nothing. It’s just random words that conjure imagery of detectives, criminals, or courtroom proceedings. Yet it sounds intense, serious, and legitimate. Something that would impress a 12 to 15 year old boy. So I look into Seagal’s other films to see if this naming convention is “a thing”. Not only is it “a thing”, I quickly learn Seagal has starred in over 40 films since his 1988 debut, Above the Law. And all titles follow this theme. Thus, in Southeast Asia a seed was planted. 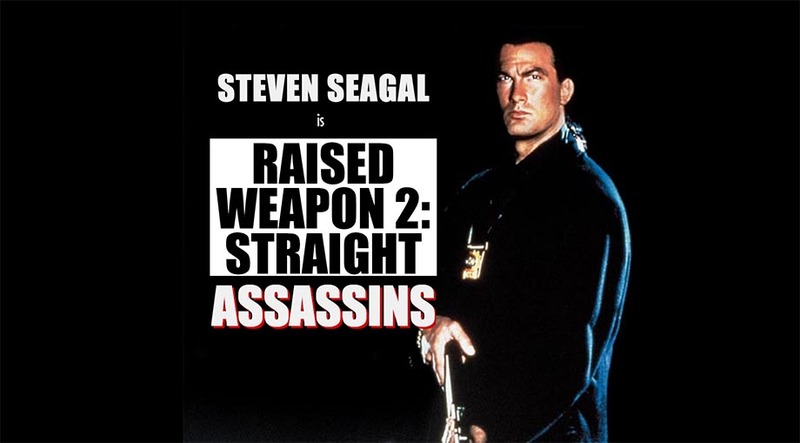 The Steven Seagal Movie Title Generator is but a seedling, ready to grow into a sturdy tree bearing sweet fruit. Boy, do Eric Ries and Startup Weekend love that question. This doesn’t solve anyone’s problem at all. This solves my problem: How do I transition from building things in Flash to building things in technologies that work on any device? I figured it was time to learn me some SVG and jQuery. SVG needs major improvement in the typography department. Word wrapping doesn’t exist. Use getBBox() to find the x, y, width, and height values of SVG elements. Don’t create SVG elements with jQuery. The elements won’t be recognized as SVG and things like getBBox() won’t work. Instead, I use this method provided by a helpful person on Stack Overflow. At the moment, getBBox() doesn’t work with anything in a <tspan> in certain browsers, so use <text> if you’re programmatically measuring and positioning text. SVG attributes like textLength are case-sensitive, so they’ll break if you define or manipulate them with jQuery’s attr() function. Attr() converts everything to lowercase. You can get the raw HTML object from a jQuery object like this: $(‘#elementName’). When learning a new language or technology, the project I’m applying it to needs to be well scoped, easily understood, and devoid of ambiguity. Otherwise I’m figuring out two things at once and I’m easily overwhelmed by not knowing anything and having to learn everything. I’ll rapidly stall out and resign myself to watching Terminator 2 with Khmer voiceovers. Steven Seagal is 62 years old and people say awful things about him “becoming old, slow, and fat”. To those people, when you reach age 62 I invite you to compare your appearance and achievements to those of Steven Seagal’s. You’ll beat him on total number of internet comments written. That is all. Steven Seagal is prolific. To date, he’s been in 45 films, and not a single one involved being a kindergarden cop, acting alongside Danny DeVito, or doing a voiceover for a baby or cartoon character. Every single one involved crushing someone’s bones or joints. If you’re doing it wrong, the most intimidating part of creation is starting. 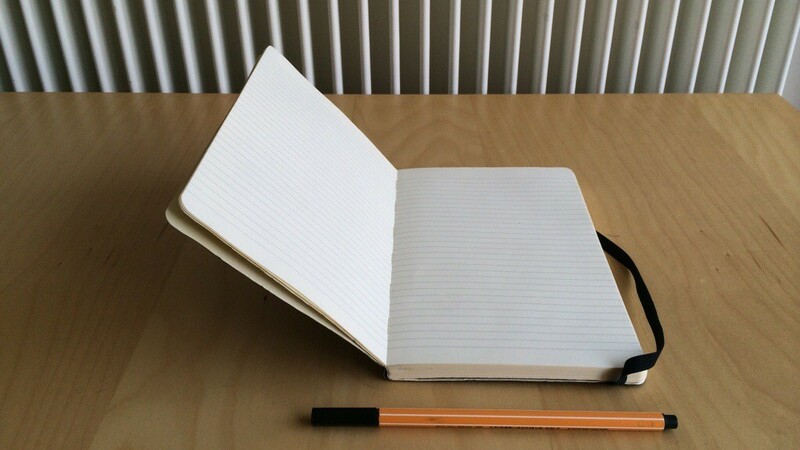 An empty page, a blank canvas, or the first entry of a diary terrifies you. I said “doing it wrong” because the potential for creation should be inspiring. An empty page, a blank canvas, and the first entry of a diary should excite you, fill you with anticipation, and spark an impatience that you can’t start soon enough because the act of creation is more alluring than the end result. If you’re doing it right, the most intimidating part of creating is stopping. When you’re doing it wrong, the act of creation is terrifying. You feel fear. You’re anxious. You procrastinate. You’re distractible. You’ll do anything but start. The only things you create are excuses. Excuses and procrastination are acts of self-preservation guarding you from something worse than death: discomfort and isolation. But let’s back up and ask “why” a few times. Because the empty page is intimidating. Because I don’t know where to start. Why don’t you know where to start? Because I need to organize my thoughts and do my research. Why do you need to organize your thoughts and do your research? Because I need to be prepared. Why do you need to be prepared? If I’m not prepared, I might be doing something wrong. I might make a mistake. Why would you avoid making a mistake? Because mistakes lead to criticism and I don’t like criticism. Why don’t you like criticism? Because criticism is judgement. With judgement comes the potential of failure. Rejection leads to isolation, discomfort, and a harder life. The blank page is terrifying because you’ve judged your work and witnessed failure before you’ve even done anything. And what better way to avoid failure than abstaining from activities that bring failure? What better way? How about reframing “mistake”, “failure”, and “criticism”, and embracing serendipity instead. We’re taught from an early age to avoid mistakes. But mistakes are how we learn. If you’re not making mistakes, you’re not learning. If you’re not learning, you’re not growing. Growth makes you better, resulting in better work. “Mistake” can be subverted too: You’re not making mistakes, you’re experimenting. Mistakes add up to failure and we’re taught from an early age to avoid failure. Fail the test and you’ll get a bad grade. Enough bad grades and you’ll fail the class. Fail the class and you won’t get into university. Fail getting into university and you’ll fail at getting a well-paying job. Fail to make enough money and you FAIL AT LIFE. It’s hard to shake the failure mindset because it’s taught at an early age and it helps us survive as a species. Consequences are severe when you fail at drinking water, crossing the street, or flossing and brushing your teeth. Consequences are not severe when writing a blog, drawing a picture, or journaling. For everything you do, ask “How severe are the consequences of failing what I’m doing?” Most times the answer will be “Not at all.” It’s incredibly liberating. Good criticism doesn’t judge. It allows other perspectives to reshape your work in ways you can’t. It helps you grow. Good criticism brings new perspectives, entices conversation, and builds trust. Bad criticism is bossy, judgmental, and hinders growth. Reject bad criticism. Especially bad self-criticism. Removing expectations and allowing yourself to be taken in new unexpected directions results in great work. Expecting to create A and ending up with Z is one of the greatest outcomes of creation. You surprise yourself, you end up with something better than you expected, and you grow along the way. This is embracing serendipity, and it’s a lot easier when you redefine “mistake”, prioritize failure, and focus on good criticism. This is my first post for Maker Year. It took me seven weeks to actually sit down and write it because I was intimidated by the blank page for all the reasons above. I started writing this with the expectation of creating A (sharing my plan for the year ahead). But by embracing serendipity, I unexpectedly wrote Z (what you just read), grew in the process, and got excited about creating again. What do you want to create and what’s preventing you from starting? I'm making things while I travel the world for a year.